It’s been ten years since the first known drone strike in Pakistan. It wasn’t certain the campaign would reach that milestone earlier this year; there hadn’t been a strike reported for almost six months. But the US once again fired up its fleet of armed UAVs following an attack by Tehrik-i-Taliban Pakistan (TTP) and the Islamic Movement of Uzbekistan (IMU) on the Karachi airport in early June. There’s since been a succession of strikes in North Waziristan targeting TTP and foreign fighters. The resumption of strikes and the ten-year milestone provide an opportune moment to take stock and reflect on the outcomes of this long-running campaign. 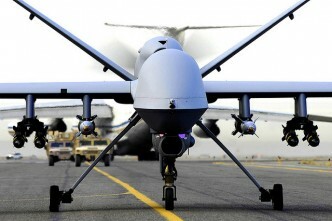 According to the Obama administration, drone strikes have made a successful contribution to US counterterrorism strategy. In an effort to drum up support for the drone campaign during the run-up to the 2012 elections, Obama repeatedly underscored the ‘precision’ of armed UAVs in unusually candid public remarks. When the President announced that the core al-Qaeda leadership had been ‘decimated’ in the Federally Administered Tribal Areas (FATA), it was made clear the campaign had played a substantial part; around 34 influential al-Qaeda leaders and facilitators have been killed in Pakistan by drone strikes since 2005. Still, we can’t conclude that drones have had the kind of ‘decimating’ impact the Obama administration has claimed. 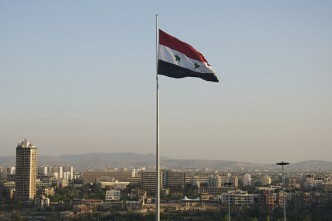 They’ve managed to suppress al-Qaeda in the region but have failed to dismantle the organisation or significantly degrade its capacity to inspire jihadist ideology. 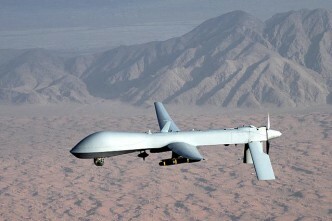 The campaign in Pakistan has shown that drone strikes are only a limited response to militant jihadist groups. Yet they’ve become the central tool in US offensive operations against terrorist groups. A decade later, al-Qaeda and its affiliates persist as a serious threat to the region—as demonstrated by the Karachi airport attack. During his time as Secretary of Defense, Robert Gates described a ‘syndicate’ of terrorist groups in South Asia, including al-Qaeda, along with the TTP, IMU and a host of others. According to Gates, ‘a success for one is a success for all’. That’s an apt description of the situation in Pakistan’s border areas. The support and shelter jihadist groups continue to offer one another has seriously complicated efforts to disrupt specific organisations through targeted strikes. An absence of boots on the ground, along with the rocky and unreliable relationship with the Pakistani military and intelligence service, has exacerbated that problem for the US. As Gregory D Johnsen stated, ‘what appears to be true thousands of feet up in the air often looks different on the ground’. This complex and often shifting syndicate model has contributed to the remarkable resilience of the groups operating in the region. An intricate network also exists within groups, which further complicates the use of drone strikes. Audrey Kurth Cronin, a reputable scholar on how terrorist groups end, reasoned that leadership decapitation through targeted killing simply won’t work on an established organisation like al-Qaeda which lacks traditional hierarchical structures. That has been demonstrated by the resilience of jihadist movements in the FATA despite continuing high-profile deaths within senior ranks. In fact, those deaths can act as a motivating factor; the Karachi airport attack was spurred by the killing of TTP leader Hakimullah Mehsud in a drone strike in November 2013. Terrorism expert Thomas Joscelyn has emphasised the ‘deep bench of talent’ from which al-Qaeda can draw, and the same is true of several other jihadist groups in South Asia. The resilience of groups in the FATA to the effects of drone strikes casts a dark shadow over the border. But as the Coalition prepares to withdraw from Afghanistan, it appears likely that drones will continue to feature in the skies above eastern Afghanistan and the FATA. 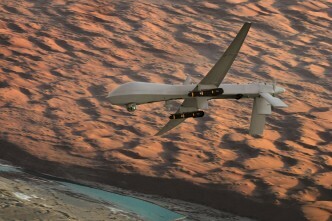 In June the Stimson Center Task Force on Drone Policy released a report (PDF) that questioned whether a serious cost-benefit strategic analysis on the use of drone strikes had been undertaken by the US, and warned against the ‘heavy reliance on targeted killings as a pillar of US counterterrorism strategy’. Those comments raise questions as to whether the United States and its partners need to find new methods for dismantling terrorist networks in the region. The host of countries scrambling to acquire armed drones should consider the lessons of the past decade before moving forward. The limited effects of drone strikes evident in Pakistan speak to the broader constraints of long-running targeted killing campaigns as a counterterrorism and counterinsurgency measure. While al-Qaeda has been suppressed in South Asia, drone strikes have been unable to dismantle or destroy the groups operating in the FATA. 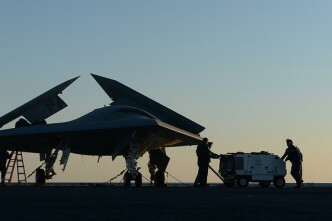 Drones are tactically precise, but of limited use against a messy strategic problem. Rosalyn Turner is an administration officer at ASPI and recently completed ASPI’s internship program. Image courtesy of Flickr user United States Air Force.